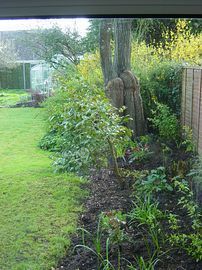 Uppingham, a late 1920's house, is situated just off the town centre of Steyning. 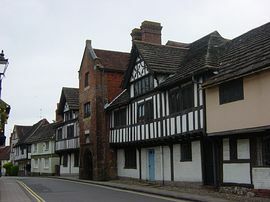 Steyning is a historic town, situated just under the South Downs, with views of Chanctonbury Ring. Interesting shops,good food, an excellent museum and churches. Home from home comfort, for walkers,cyclists, wedding guests, families and friends. 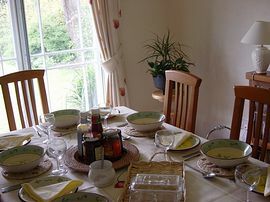 Start the day with a good old English breakfast, local sausages and bacon, fresh eggs straight fom our hens in the garden, home grown fruit and tomatoes, jams and ofcourse home made bread. A comfortable bedroom with tea/coffee facilties, and TV. 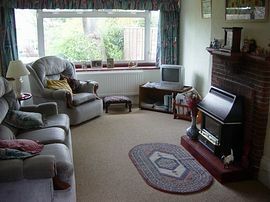 A large conservatory with comfy chairs, just the job, with a pot of tea and fruit cake, after that long walk! Pet Facilities: Pets are allowed. Do have cats, but they are dog friendly. Special Diets Provision: Special diets are catered for. Vegetarian, gluten free. On reaching the town centre, turn into Church Street, by a mini roundabout, keep the church on the left and continue to a left hand bend. Go over the road bridge and immediately past the railings, turn right, into Kings Barn Villas. Uppingham is about 100 yards on the left. 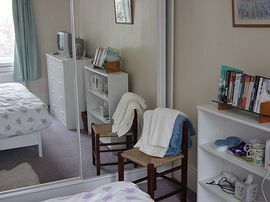 Double and Twin Rooms: £50.00, to include breakfast. Guests can arrive from 4.30pm. Special arrangements can be made for earlier arrivals.